Mother’s Day is coming up on May 8th. The second Sunday of May is the day we celebrate the amazing gift that is our mother, who nurtured us and raised us into wonderful human beings. We often honor our moms with an elaborate breakfast in bed, flowers, cards, gifts, chocolate, a nice dinner, or even a little get-a-way with the family. However you observe it, Mother’s Day is widely celebrated across the US. Italians celebrate Mother’s Day too (la festa della mamma). Cath Andrews, author of the website Explore Italian Culture, explains. In Italy, the family gets together and treats the mom to a fabulous spa day or simply a relaxing day free of housework. Breakfast — made by the family —usually consists of pastries and coffee. Kids give their mothers flowers and cards filled with cute drawings. A heart-shape cake is also essential to an Italian Mother’s Day celebration. How do you celebrate Mother’s Day? Let us know! If you’re looking for a gift idea, remember that moms love wine! 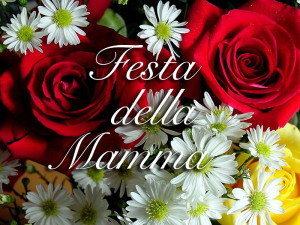 Give your mom a gift certificate for Sentieri’s Italian Wine Tasting on May 8th at your Mother’s Day celebration. The wine tasting is the following weekend, Saturday, May 14th.